This is an ideal place for nature lovers, because most of the activities here take place outdoors and surrounded by the rainforest. The Santa Fe National Park is one reason for this, protecting the land on three sides of the town and encompassing nearly 180,000 acres. Below are seven activities to keep expats who live in Santa Fe busy. Hiking is a favored way to take in the stunning scenery of the park while traversing the peaks of the Continental Divide. Marked trails lead away from the town, through the jungle, up and down the slopes. Some of these trails reward the hiker who reaches the end with breathtaking sights. It may be an overlook of the valleys and hills below, or a waterfall, or two or three. See here for more information. Bird-watchers will want to bring their binoculars for these forest jaunts. All of Panama is known as an excellent site for bird-watching, with over 900 nesting or migrating species. In the highlands you can spot toucans, mot-mots, tanagers, hummingbirds, hawks, and if you’re very lucky, the elusive resplendent quetzal. For the more adventurous woodlands lover, one of the local guides specializes in night-time hikes up to the summit of Cerro Tute (3,445 feet) so you can see some of the nocturnal wildlife. For more information see here. Horseback riding is widespread in this area–for work, recreation and just getting around. Saddled horses and riders are a common site in and around town, where fence posts replace car parks. Horseback riding is another great way to see the countryside and reach the more remote spots, especially those that require climbing. Veraguas Province is known for its cattlemen and cattle ranches, rodeos and equestrian competitions, saddle-making and woven hats. Horse lovers will feel right at home in Veraguas and Santa Fe. Fore more on these horse back riding tours, see here. For those with a green thumb, this agricultural community has plenty to offer. The cool climate and rich volcanic soil create excellent growing conditions for a variety of plants and crops. 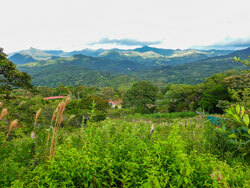 Chief among these is coffee, and the hillsides are dotted with coffee plantations (called fincas). Decades ago the local farmers (calledcampesinos) formed a cooperative for harvesting and processing their beans and today you can enjoy a coffee tour of the whole operation. From planting the dark green saplings, to hand-picking the red cherries, to tumbling the beans in the roaster, you can see it all. The finished product is called Café El Tute, after the area’s landmark mountain peak, and is only available locally, so be sure to stock up! Orchids are native to the highlands and several residents have created informal gardens to showcase their favorite varieties. They’ll share their knowledge and appreciation for this tenacious exotic plant, some with flowers as big as oranges, and others as tiny as a grain of rice. A few organic farms also offer tours where you may see citrus, mango and avocado trees, broccoli and green beans, melons and squash in a rustic tropical setting. If you go in the middle of the day you may be treated to lunch, prepared with home-grown veggies. After all that activity you’ll probably want to cool off, and the rivers of Santa Fe are the perfect solution. Arrange to go river tubing with one of the local outfitters for a fun day of floating. 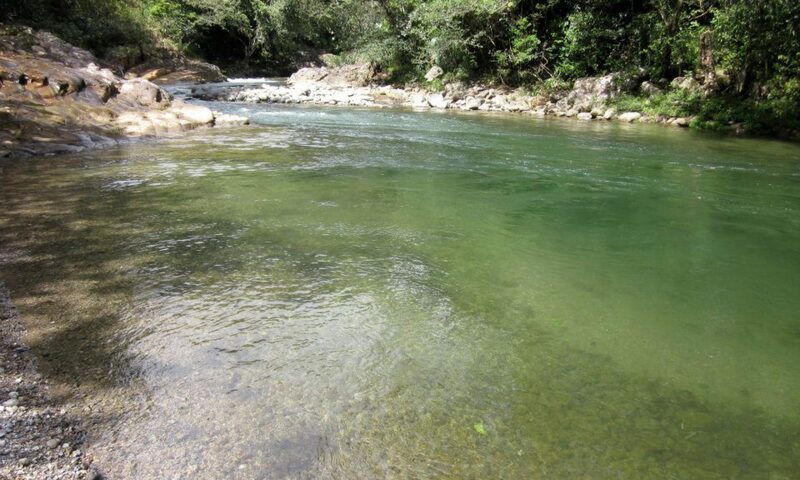 They’ll provide an inner tube and transport to and from the Santa Maria or Mulabá River. You bring the cooler full of goodies and just chill out. See here for more. If tubing doesn’t float your boat, maybe you’d prefer a therapeutic massage. Santa Fe doesn’t have a spa but it does have an enterprising young expat who is a certified massage therapist. Rachel Gimbel has her own massage table and will bring it to you to work out all your kinks. 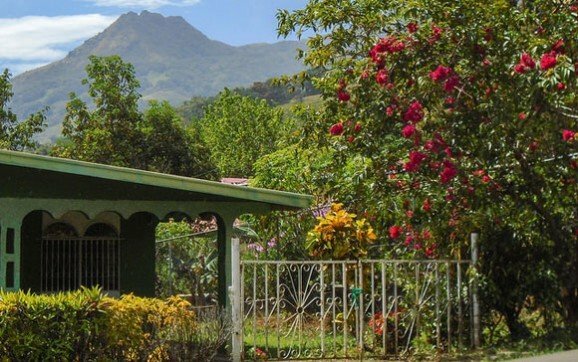 For $25 for an hour’s massage she’ll have you feeling relaxed and refreshed, ready for another day of outdoor activity in the Veraguas highlands. 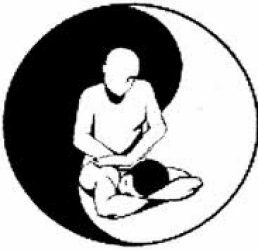 Find out more about these massages here.